If you have EQ6 and want to upgrade to the new version of EQ7 that will come out the beginning of June, now is the time to purchase it. 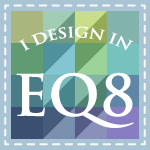 As an EQ retailer I can offer you a great price on upgrades from EQ6 as well as full programs. This great price is only available until May 31 and then the regular price of $89.95 for the upgrade and $189.95 for the full version will kick in. If you are interested in pre-ordering a copy of the new EQ7 at the reduced price please send me an email and I will give you the prices and shipping details. I will accept checks and pay pal but only until May 31. 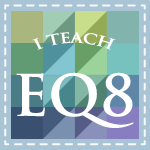 EQ tells us they will ship starting June 7. 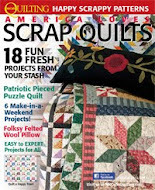 If you have ever wanted to purchase Electric Quilt design software, or want to upgrade, you will never get a better price than the pre-order price EQ is offering to its retailers. Email me at reezehanson (at) hotmail.com if you are interested or want to know prices. Block 5 is now available for Free on the BOM page of this blog. See the tabs at the top, and click on the Tulip Tiles BOM page. Be sure to download and print the pattern while it is available for the next two months. This has been a tough week for me. I started feeling bad last weekend and thought I had the flu. It turned out to be first bronchitis and then pneumonia, 2 trips to the ER later. I went into the hospital Thursday evening and finally managed to come home Sunday morning feelling weak as a kitten, but slightly better than before I went in. Despite a whole week off of work, I was not able to get any sewing done. Not sure this week will be any better as I am taking it very easy while I recuperate. But spring is here, everthing in my yard is in bloom, and I am determined to at least enjoy the weather while I am home.